Welcome to Best Training Provider Company in Jaipur. Students will find a versatility of classes that aim to help you to become a great Android Developer, using best practices.All Workshops are equipped with best concepts, assignments and teaching method. Android is the prime OS for developing mobile applications in today for several reasons. We have a series of tutorials of this Open Source .Beginners can start learning from Hello World Tutorial. You can find code examples on latest version Oreo. 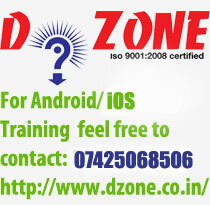 Best Android coaching is given by DZone Institute in jaipur where all trainers has large experience in mobile development as well as students training.So rush to Dzone for better tomorrow and career growth in Android or iPhone Development by getting Android certificate through DZone. Our Company provide App Development services to corporate sector at economical price and best quality. Our both in-house and out source cells work together to gives 100% client satifaction.Interns can join our team to get exposure of industry standards. 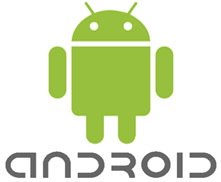 Android is a free, open source platform available for anyone to use. By learning this emerging technology you can powers millions of phones, tablets, and other devices and brings the power of Google and the web into your hands. You will be the inventer of amazingly fast browser, cloud sync, multi-tasking, easy connect & share and the latest featured mobile apps . You can develop customized app for smartphones like motorola Droid, HTC , Samsung Galaxy, Gionee, Micromax ,oppo ,vivo and other brands.As compare to iOS platform of iPhone it gives low cost solutions to customers. Here we give short assignments to solve daily based problem which helps in develop great applications and improve Logical skills and knowledge.Through Android software stack for mobile devices you can create app for operating system, middleware and key applications with the help of tools and APIs using the Java programming language.All fundamental concepts has been describes in easy steps. All classes and sessions are 100% practical by Best Developer Instructor or Teacher at Dzone jaipur .Each Student get opportunity to develop multiple apps of mobile applications and get confident for mobile Apps development. We also provide demo classes to get tuneup with faculty and programmer.For working professionals weekend batches on saturday and sundays are available. Training fee is very economical for students of MCA,B-Tech and BCA.Group discounts are also applied on college refrences.Course duration is 2 month but very as per need of your educational institution. You will also learn and get experience of live hosting of your own app on google play store after completion of your project.Our instructor assist you to create account & upload your app through Google developer console. You will owned a globely accepted certification issued by DZONE and a working experience letter related to our projects which help in your placement in industry and add as a gem in your career. We also arrange backup & doubt clearing classes for students to avoid any gap in study due to student leave or confusions.Even each session continued after solving your queries and problems either it is app error or confusion in theory section. Android software stack & it's several program components helps programmers in quick coding. The fully integrated package comprising an OS, middleware, applications and user friendly interface is expected to considerably speed-up product development while lowering the cost of mobile services development. Developers have full access to the Android framework APIs used by the core applications.includes a set of C/C++ libraries used by various components of system. "Students get best study material and training like a private tuition due to individually attention to each person." 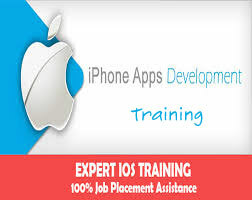 "Mobile apps become very popular day by day so join D Zone for better career"